You can reach NTT Electronics at the following address. 250 PEHLE AVENUE, SUITE 706, SADDLEBROOK, NJ 07663, U.S.A.
NTT Electronics America, the sales organization for the Americas, has offices in New Jersey and California, marketing NTT Electronics' products such as Optical Communication Components, Passive Devices and Sub Systems, and Digital Video Codec related products etc. Our office is responsible for all sales activities in these markets, from conception to commercial production, including business sales and technical discussions, market research, importation and delivery, invoicing and accounts receivable as an independent US sales company. No.10 Metropolis Drive, HungHom, Kowloon. 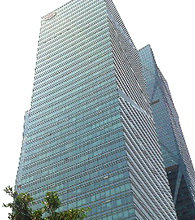 NTT Electronics Shenzhen Limited, the sales organization for China, located in Shenzhen, has started sales and marketing on NTT Electronics' products such as Optical Communication Components, Passive Devices and Sub Systems,etc in April 2012. Our office is responsible for all sales activities in these markets, from conception to commercial production, including business sales and technical discussions, market research for overall China including Beijing, Wuhan and Shanghai areas.